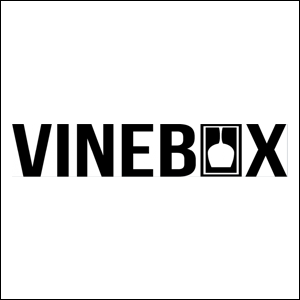 Vinebox: Taste Wines. Every Season. Vinebox sends you wine by the glass. As wine continues to grow in popularity with young, tech-savvy people around the world, the ancient craft has been revitalized by forward-thinking companies. Vinebox seems to align with that description. 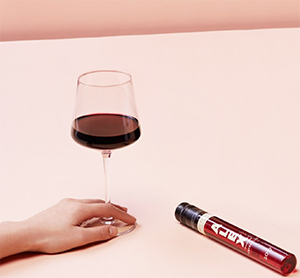 They present themselves as a fun company with great UX and an unusual approach to selling wine: by the glass. Each season, Vinebox sends nine different wines for you to try. Rather than coming in bottles, they each come in little containers that pour out the perfect glass. They also give you a little extra, claiming that even casual drinkers are filling up their glasses a little higher these days. Vinebox is perfect for those just starting to learn about wine, because you get to taste many different varietals while learning about their history and the region from which the particular wine you’re drinking came from. It’s much easier and less expensive to explore more territory (both literally and figuratively) if you drink your wine by the glass rather than by the bottle. 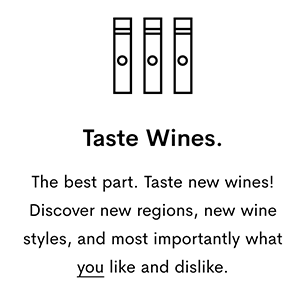 A subscription starts with a quick quiz that asks you about your current wine drinking preferences, and it generates a plan to help you expand your taste and knowledge. In a crowded field of subscription services, Vinebox has crafted a unique enough idea that it’s at least worthy of consideration.